...But I mean it! I hope you're all well. I'm doing fine. Just here at home, keeping it real. Buddy and Kip are respectively 1.5 and 2.5 years old and they have been keeping me running for my money and on the brink of insanity. My depression and anxiety have been, for the most part, manageable, but it's still something I've been struggling with. This is a phase of life, though, I keep telling myself. 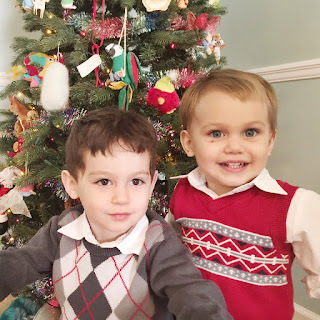 Once the kiddos are a little bigger and a little more independent, bla-bla-bla, I'll have more time to enjoy that solitude and crafting time that I'd grown accustomed to while trying for so many, many years to conceive and birth said kiddos. The Etsy has been busy. Been selling lots of ornaments and bookmarks this season, so about 80% of my free time has been spent working on filling Etsy and Amazon orders. Which is nice, BUT I'd love to do a lot more creative things. Lots of the skills and crafts I've picked up have been gathering dust, just waiting for the day when I can come back to them. Mothering is super important, though. My boys are great and so sweet and tender and (mostly) delightful. I'm hoping to begin blogging about once a week and keep up with the few makes and creativity I'm hoping to have time for. Wish me luck. In the mean time, here are just a couple pics from lately. 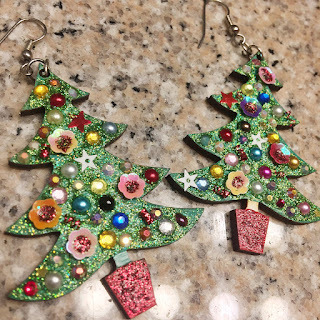 I made some Christmas tree earrings that Kip destroyed less than 24 hours later. I also got glasses this year. I made some chicken themed inchies and glued them into my planner. That's my update. Goodbye for now. Love and snootches. I'm glad you're going to try to come back! 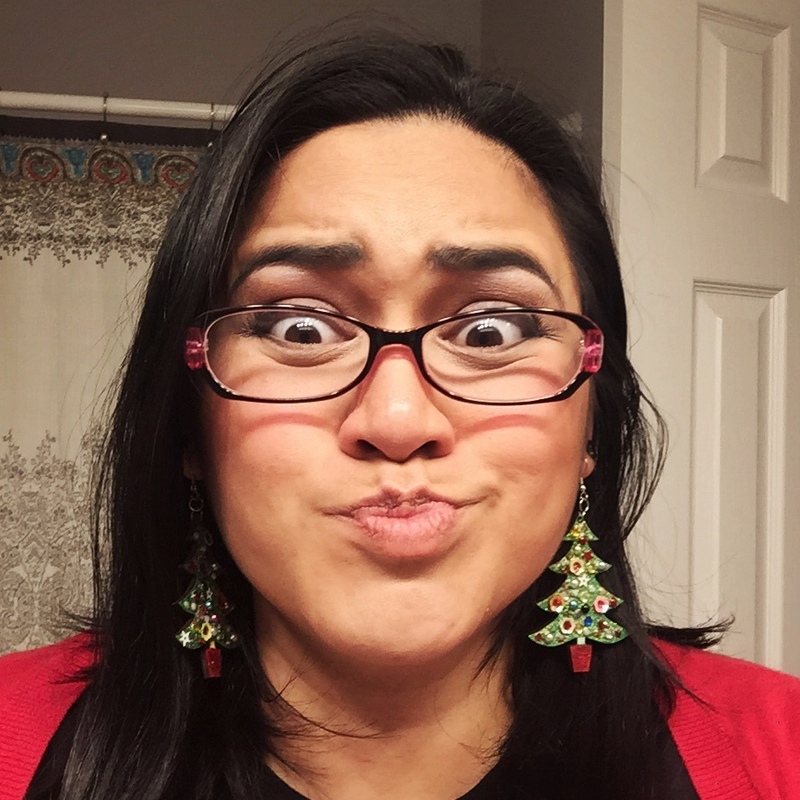 I love your blog, Kira! I have posted so many "I'm going to try to blog more" posts, now I just don't and I post when I want to and I don't post if I don't have anything to say. :) It's ok and so much less stressful! !